at the end of the month we present you another 3 numbers which have stirred your suspicions. These nuisance callers won’t take a breake and you really can’t expect any sympathy from them. This week we have some familiar techniques for you, which you will recognise for sure. All the Jennifers, Ashley, Nicoles and Jennys are back on facebook. Maybe they weren’ t gone in the first place. It doesn’t matter if you’re a girl or a boy, they still send you messages like you’re long lost friends and try to make you call or text them. We also have a rather dangerous number, which can swindle your money from you before you really understand what’s going on. The frauds use Skype calls to reach the people and they pretend to offer you help with your computer or something else. Be aware that as soon as you give them access to your computer or your data, you can be in deep trouble. Funny, I heard of this before but I thought that was a guys-only problem. But just a few days ago I got a friends request on facebook from another “Jennifer”, saying that we shared a friend – which we didn’t, at least not on facebook but that kind of made it appear more trustworthy to me since I have quite a few friends who don’t use facebook anymore and I figured real life-friends beat facebook friends. After I added her, she contacted me again, we wrote back and forth for like a minute before she said she’d had to log off but I should text her to 281-712-8367. That’s when it finally dawned on me that we didn’t have any mutual friends – neither on fb nor in real life. Such a scam! Got a call from this number. The person on the other line said that he was Jack Turner and that he was calling from Best Mortgage COnsultants. He also said that the company was in Florida, but as I now see that was just another one of his lies. He tried to offer fee loan modification services and wouldn’t say where he got my number from. If you’ve also been a target of scam calls, don’t hesitate to share it with our tellows community. By sharing your own expirience, you can help those who get terrorised by these calls. Take care and have a nice weekend! This entry was posted in the Most Wanted and tagged con artist, cost trap, Facebook scam, frauds, microsoft, Mortgage Consultants, skype calls on Friday September 27th, 2013 by Polly. For many, the computer has become an important device to manage matters of everyday life. With useful features such as email, social networking sites, online banking and shopping, there is barely any aspect of life that you can’t organize with the help of your computer in one way or the other. As discussed on our tellows blog – both US and UK – in the past, that turns the computer into an appealing target to scammers. This man with a heavy accent called here, saying that he was from “Microsoft”, that my computer had sent them a error message of some sort and that he was now calling to fix the problem. This was literally a day after I had bought a new computer that was still in the process of being set up, but I figured I played along for a little while longer, just to see where they were going with this. He then said to press start and type in CMD into the search and click enter. […] Long story short: It’s a scam – so beware! In most instances, the scammer posed as a representative of Microsoft or Windows Microsoft, claiming that the computer of the person called has been infected with malware causing the operating browser or computer to sent a critical error message to the supposed tech support of the corporation. The goal, to gain access to the computer and subsequently other sensitive personal information about its owner or users, is achieved by instructing the target to change current computer settings or to download rogue security software to leave the computer vulnerable. Total scam! The caller said he was calling from “Microsoft” and that it had come to their attention that my computer had been infected with a dangerous virus. Of course, they had the solution for my “problem” and, yes, while it might cost nearly $300, it would be a good investment and apparently really the only way to save my computer. I figured I humored them long enough, said they should go to hell and hung up. So if you’re not in the mood for playing with some scammers, don’t pick up! In some cases, if your computer has been infected by malware and you are a customer of Microsoft, you may receive a call from a legitimate representatives of Microsoft. However, actual employees of the corporation are able to verify you as a customer and will not charge you to fix your computer over the phone. An ongoing issue for the company, Microsoft is well aware of the problem and has provided an information page on phone scams related to the corporation. If you have already given away information and think you might be a victim of scammers, change the password on your computer as well as for other user accounts they may try to access such as email account, bank or credit card account. Run a trustworthy and reliable scan program on your computer – Microsoft recommends the Microsoft Safety Scanner. Furthermore, don’t forget to report the scam: if you are aware of a number that is used for this type of scam, you can alert the Federal Trade Commission in the US. In order to warn others, you are encouraged to share the information you have on our tellows community as well. This entry was posted in knowledge and tagged Method, microsoft, Scam, scam artist, telephone numbers, telephone scam, tellows.com, virus, Windows on Friday September 13th, 2013 by Luise. What we found there is much more than just some scattered instances of unsolicited phone calls, it leads us to a huge scamming business that bothers people not only in the US but in all English-speaking countries. We already reported on this scam method last year in our UK Blog. The calls we are talking about are mostly having the same goal. Callers, pretending to be working for e.g. Microsoft or Windows technical support, are giving aggressive warnings that your computer is infected with numerous malware, viruses and other infected files and malicious traffic. The only help is apparently the caller itself who can rightaway fix all problems on your PC and delete the infections, which he will show you, is very urgent and necessary. What sounds like a nice support offer for inexperienced users is in fact highly developed deceptive business practice. Because the result will not be the removal of anyway non-existent dangerous malicious activity but much more the removal of the consumers money. While the consumers think that the support team will fix the allegedly detected problems they allow them to remotely access their computer and what is equally worse, charge tremendous sums of money for this “support” and additional software. The obviously profitable random cold calls are being made by numerous companies, such as Pecon Software, Finmaestros LLC, Zeal IT Solutions or Virtual PC Solutions, mostly located in India. While this scamming has been going on for years now, the Federal Trade Commission (FTC) last year finally reported a huge crackdown on these telemarketing boiler room enterprises that where scamming consumers in large amounts. 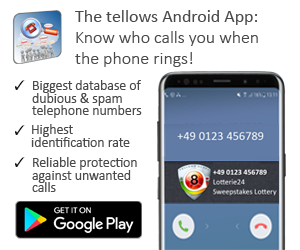 Nevertheless, as noticable in the worldwide Tellows community, the calls are still being made and as a matter of fact, the FTC is not as successful in hindering the scammers as they wished for, since US laws don’t apply to Indian companies adequately. 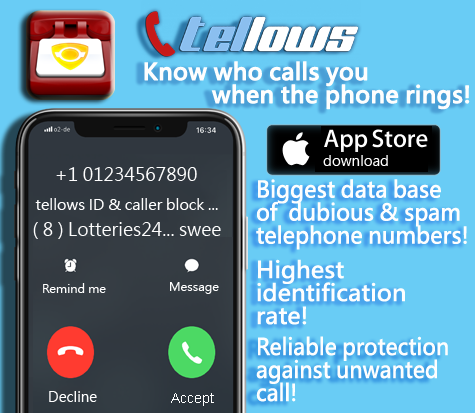 As the list is not anywhere near complete, you are more than welcome to extend it by evaluating phone numbers and commenting on scammers on tellows! This entry was posted in knowledge and tagged Loan scam, Method, microsoft, telephone, telephone numbers, telephone scam, telephone spam, tellows.com, virus, Windows on Tuesday April 9th, 2013 by Marianne. Last week’s top spam number 0012538203089 stayed on first place and has about 3646 search requests by now. Bad news for everybody who fell for it: this is another PC doctor scam number. Just someone telling you your computer is infected by viruses, and asking you to give him direct connexion to your computer to repare it!! He is absolutely right, for this is a widespread scam. These wannabe Microsoft employees will spin tales about the most malevolent of software and the ways your PC system was infected by it. According to the American computer forum bleepingcomputer.com the fraudsters will try to lure you on onto their website to download a software called Teamviewer. This program enables the scammers to access your PC directly and, therewith, provides them with the opportunity to download and install malware, manipulate your system settings and spy for personal data. However, Microsoft will not call to warn you of a potential viral infection and offer support for free. Microsoft is not ignorant of the scam and was quick to publish an article on their investigation into the matter on their windows blog. We count on you in the struggle against phone spam and scam! We need you to share vital information about fraudulent phone numbers. This entry was posted in the Most Wanted and tagged feature, Method, microsoft, Most Wanted, nuisance calls, PC doctor, Scam, statistics, Suisse, telephone, telephone numbers, telephone scam, telephone spam, tellows score, tellows.com, top 3, virus, weekly update, Windows on Friday August 17th, 2012 by klara. This week’s most annoying phone number 0012538203089 has been searched more than 3225 times now. Unfortunately you’re not sure about who the caller might be. Got the call two times (Suisse). First no reply then got the connection. Persons says they are calling from windows computer department and something is wrong with my computer. Try to figure out from which company he is calling. He didn’t answer and I stopped conversation. It seems to be someone who tries to pretend to be from Windows (Microsoft). If you search the internet for “scam call microsoft” you will see that this is a widespread scam. Often the caller has some kind of indian accent, too. So beware of any phone calls applying to this information. Thank you for your support and keep on commenting! This entry was posted in the Most Wanted and tagged Computer Department, Dominica, microsoft, Sacramento, Scam, Suisse, top 3, washington, weekly update, Windows on Friday August 10th, 2012 by tellows.de Team.